Epic Waters FlowRider surf machine. GRAND PRAIRIE—Put some thrill into your winter chill at the first-ever Epic Plunge, set for Sat., Feb. 9 at Epic Waters Indoor Waterpark. The event will feature the opportunity to take a “polar plunge” into the new Epic Wave Pool. The 10,000 square-foot outdoor pool will open to the public later this spring. The wave pool temperature is anticipated to be in the 40-50 degree range, depending on the temperature outside. Water-safe costumes for participants are highly encouraged! All entrants will receive a long-sleeved “I survived the Epic Plunge” themed t-shirt, hot chocolate, and all-day admission to Epic Waters. A portion of the proceeds of The Epic Plunge will benefit PlayGrand Adventures, a 10-acre, ADA-accessible play space that will open next fall near Epic Waters. Tickets for The Epic Plunge, which must be purchased in advance, are $50. Contact kmccarthy@epicwatersgp.com or call 972-337-3131. Situated west of Highway 161 between Arkansas Lane and Warrior Trail near the southwest Dallas County-Tarrant County border, Epic Waters is an 80,000-square foot, resort-styled, indoor-outdoor waterpark that offers year-round operations delivered courtesy of an enormous retractable roof and a climate-controlled wintertime interior. The venue is the largest indoor waterpark under a single retractable roof in North America. Billed as a “cruise ship on land,” the park boasts wet and dry attractions for every member of the family, including 11 waterslides, (three of which are waterpark industry firsts), the longest indoor “action” river in Texas, a children’s play area that’s equipped with an aquatic fort, a double FlowRider® surfing simulator, a 45-game arcade, a café, full-service bar, private event space and table-service cabanas, and much more. In 2019, the park will open a 10,000 square-foot heated outdoor wave pool. Since opening in January of 2018, the park has attracted guests from around Texas and around the world. In addition to being singled out for recognition by the World Waterpark Association, Epic Waters was selected for inclusion in the Travel Channel’s “8 Of the Most Incredible Indoor Waterparks” list, USA Today’s “10 Best Dallas Waterparks” and the “Best of Dallas 2018 Critic’s Pick” list from the Dallas Observer. 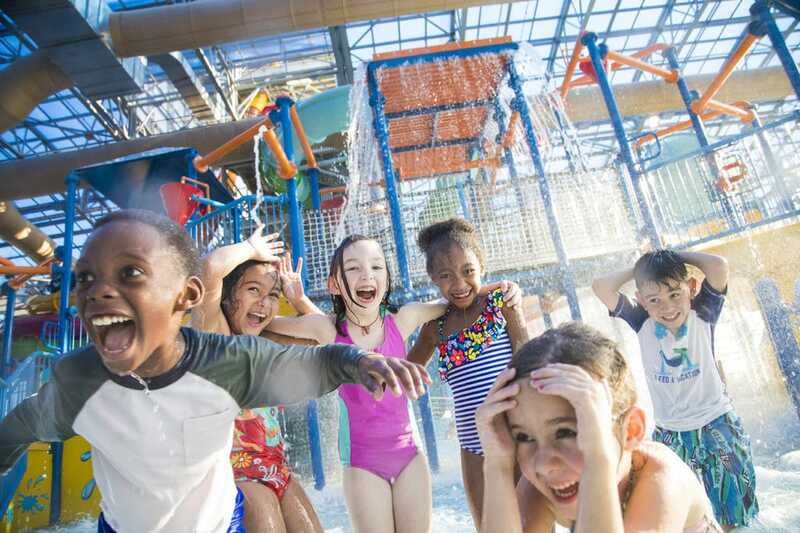 Epic Waters is a headline destination in an area known as EpicCentral Grand Prairie, a 172-acre recreation and entertainment development that is owned by the City of Grand Prairie. Other destinations at EpicCentral include The Summit (an award-winning, country club-styled recreation facility for active adults age 50+); the GrandLawn Amphitheater (an open air concert space that opened in August of 2018); The Epic (a 120,000 square-foot recreation facility opening in November of 2018); and PlayGrand Adventures (an all-ability, ADA-accessible playground that’s expected to open in 2019 or 2020). Wrapped around all of these walkable destinations are expansive green spaces, lakes, and a paved walking trail. In the next few years, EpicCentral will expand to welcome hotels and restaurants to the development as well.